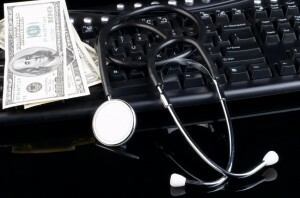 What is the Electronic Health Record Incentive Program? What is the electronic health record incentive program and how does it work? Is it something that would benefit your location? There are a lot of questions in regards to how the incentive program works. Not all professionals or hospitals are eligible, but if you are, this incentive program could be very beneficial to how you run your business. The electronic health record incentive program is a program that helps professionals, hospitals and critical access hospitals maintain their own electronic health records. This day in age, it is very important to have access to a persons medical records in the quickest, most efficient way in order to keep your business as up to date as possible. You want to make sure that you are able to help your patients as best as you can, and this program will help make sure that it is possible for your office. This incentive program helps mainly with Medicare and Medicaid offices, but it is worth looking into to see if your office is eligible. The incentive program itself doesn’t just help your office if you are adopting an electronic health record system, but it also helps you maintain your current one or if you are upgrading your current system. Depending on the program you are running you may be eligible to receive up to around 60,000 dollars for your business. If you haven’t checked already, what’s the harm in checking to see if your office can be improved on?